Northbank Home Inspection’s mission is to help you find a healthy, safe home in the Vancouver WA area. Our home inspections will give you a detailed and clear report that assesses the major components of a home and reports their condition and specific deficiencies at the time of the inspection using visual observations, free thermal imaging, simple tools, and normal homeowner operational controls. We also walk roofs, crawl crawlspaces, and enter attic spaces, whenever possible, which will give you essential information on the home you’re buying. We produce the best and most modern, user-friendly home inspection reports allowing you — and your agent — to easily distill the most essential information, while also providing you with a robust report that includes home maintenance, DIY, and appliance information links. All our Vancouver WA area home inspections include thermal imaging and certified structural pest inspection. Our reports are delivered same-day and not only include a detailed list of defects — with pictures, videos, and thermal images — but can also act as a homeowner’s manual providing you with the locations of major operating controls and information on its major systems. Our home inspection reports are chock-full of images and clear, detailed descriptions and recommendations that will give you empirical evidence to make the best financial decisions about a home. The more you know about a home, the better equipped you are to make smart negotiations on the price of the home and the more likely the seller’s will grant you the concessions you asked for. Every home has challenges. We help you understand those challenges by staying current on our knowledge of best building practices with on-going educational training and opportunities. This gives you a home inspection report that can not only provide you with information about the quality of the home, but also save you money in the future and help your house be more energy efficient by recognizing potential areas of energy loss and savings. In addition to our electronic home inspection reports, we will give you an immediate, thorough verbal report following the inspection where you are able to have your questions about the home answered and get an early snapshot of the report before you receive it by the end of the day. Our home is Vancouver, WA. We want our community to have healthy, safe homes and with our home inspections, we strive to help achieve that goal. Northbank Home Inspection will help put you in a better position to make safe and informed financial decisions about a home. The structure of a building is arguably its most essential system. Without a well-built foundation, and proper construction of walls, ceilings, floors, and roof structures, a home is going to have significant problems. It won’t matter that the kitchen is updated or that the house has a high-efficiency furnace if the structure is falling over. And so, it’s vital to a quality home inspection to crawl, climb, and walk the entire structure from the crawlspace to the attic to the roof. 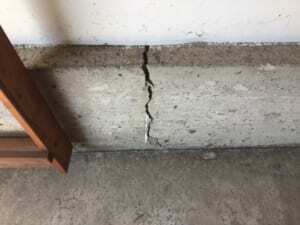 While some structural defects are obvious — large horizontal cracks in the foundation — some problems take additional knowledge, such as determining proper truss construction. I look at every house with an eye for best-building practices and note them in my reports. In older homes, some of the construction practices may have been acceptable at the time the house was built, but is not ideal today. This scenario is common and often does not dramatically affect whether you want to buy the home or not, but gives you additional information and leverage when you’re going through the buying process. Having a thorough inspection of a home’s electrical system is important because not only can the electrical system affect the functionality of a home, it can also be a source of significant safety hazards. And while inspections of older homes can reveal a number of electrical problems, such as, recalled electrical panels and non-enhanced electrical receptacles, it’s just as important to have newer homes’ electrical systems inspected. New doesn’t always mean the work was done properly. I check for permits, pull the cover off panels to check the wiring, and ensure proper installation of safety features like GFCIs and AFCIs. A major plumbing issue is not something you want to find AFTER you’ve purchased a home. When I inspect the plumbing system of a home, I turn on all fixtures, check the pressure, temperature, and functional flow of the water supply. I inspect visually for leaks, as well as, use thermal imaging in every home inspection, which can help identify hidden problems. Additionally, I inspect for proper plumbing installation to identify areas of possible backflow and leakage of sewer gases. Few things can be as frustrating and costly as a plumbing system failure. And while I can’t predict the future health of all the home’s plumbing systems, I can give you empirical evidence about them at the time of inspection to help you make smart decisions when buying a home. For the longevity and health of a home, ventilation and insulation systems are critical. Proper ventilation can help your home stay dry and ward of mold infestations. Adequate insulation will not only keep you warm in winter and cool in the summer, it will also help your home be more energy efficient and save you money. In addition to my detailed visual observations of the ventilation and insulation systems, I also view the home with a thermal imaging camera. With this tool I can easily identify areas where conditioned air is escaping and give you photographic proof. 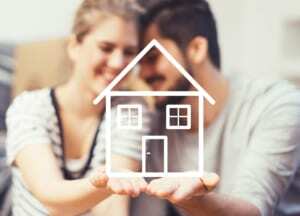 This is can be extremely valuable for negotiations, as well as, for your future life in a home. And I offer this free with all my home inspections. 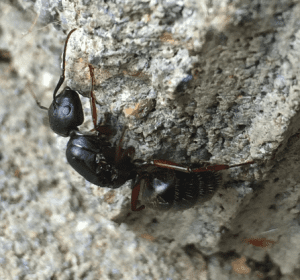 All of our home inspection include a full Structural Pest Inspection. 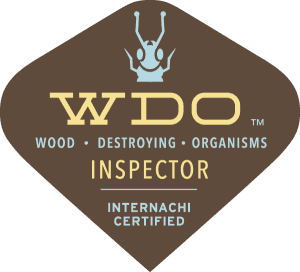 Learn more information about our Standards of Practice as a licensed Washington State home inspector.